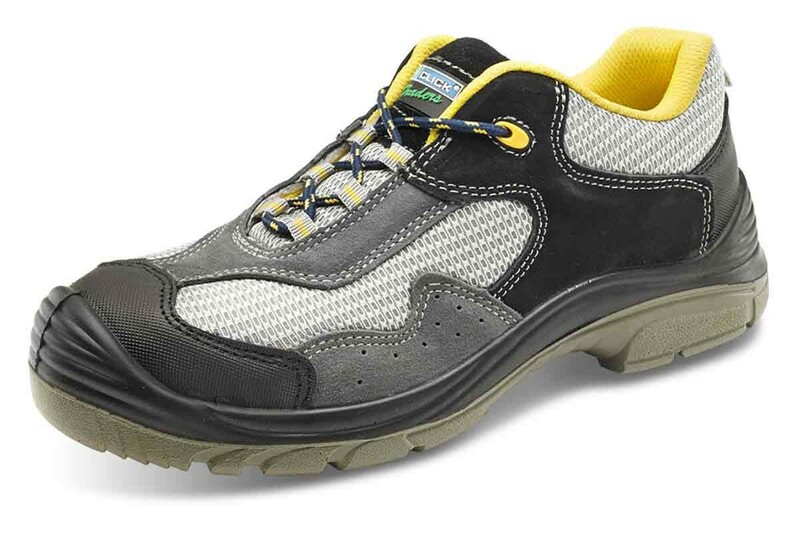 A quality, comfortable, composite toecap safety trainer. The CTF59 has a 200 joule composite toecap and non-metallic midsole making it a lightweight safety trainer shoe, for all day comfort. PU heat resistant and anti-slip sole. Shock absorber heel. Sole resistant to oil, acids and alkalis. Suede and mesh upper. Conforms to EN345 S1P.